No matter what community you reside in, or the fact that you are doing the project yourself, you are required to get a permit for most plumbing projects, including the simple things like replacing a hot-water heater. To be issued a legal permit for your work, you must deliver three main components to your city or county Building Inspection Office, which is where you go to get your permit. I will be describing what each of these drawings looks like, and how you can present them. By using these three drawing, you can satisfy the officials by proving your plumbing project meets code requirements. Once you have accomplished this task, he or she will issue you a plumbing permit, which gives you legal permission to begin your work. The building official will also prescribe an inspection schedule for your project. This means that as your plumbing project gets close to finishing, you will be asked to arrange for an inspector to visit your home while the pipes are still exposed. This gives the inspector a chance to review the installation and insure you have followed the rules for safe plumbing practices. We all know someone who has completed a complex plumbing project without getting a permit or giving inspections a single thought. I strongly suggest that you do not follow in their footsteps. To insure the safety of your home, family, and community you must comply with the legal requirements in your area. Just keep in mind that a flawed plumbing system can be dangerous, and it can potentially bring the value of your home WAY down! In the current real estate market, every dollar of value for your home is going to, literally count! 1). What is a Plumbing Project Site Plan? 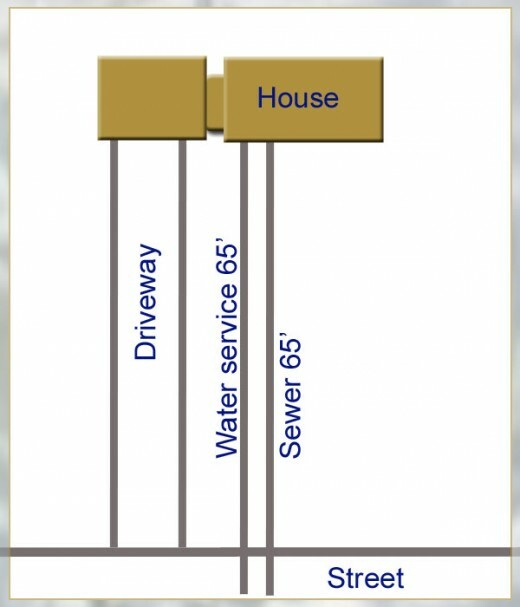 The plumbing site plan shows the location of the water main and sewer main with respect to your yard and home placement. The distances from your foundation to the water main and from the foundation to the main sewer should be indicated on this site plan. 2). What is a Plumbing Project Water Supply Diagram? 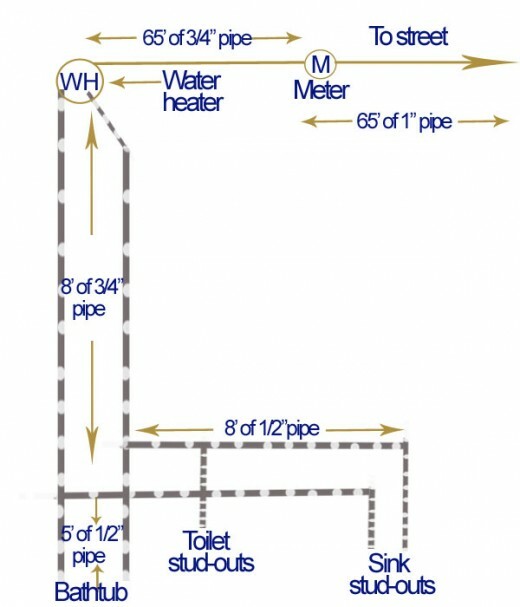 This plumbing supply riser diagram for example, shows the length of the hot and cold water pipes and the relation of the fixtures to each other. The inspector will want to use this diagram to determine the proper size for the new water supply pipes you will be installing in to your new plumbing system. It basically defines the size and length of important plumbing components as well as how these will tie-in to the public system. This is the most important part of the project, as connecting to the city/county system requires that particular techniques and safety guidelines be met. 3). 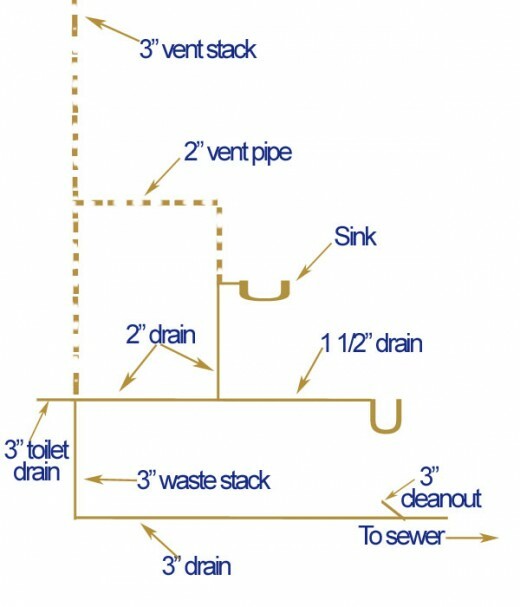 What is a Plumbing Project Drain-Waste-Vent Diagram? 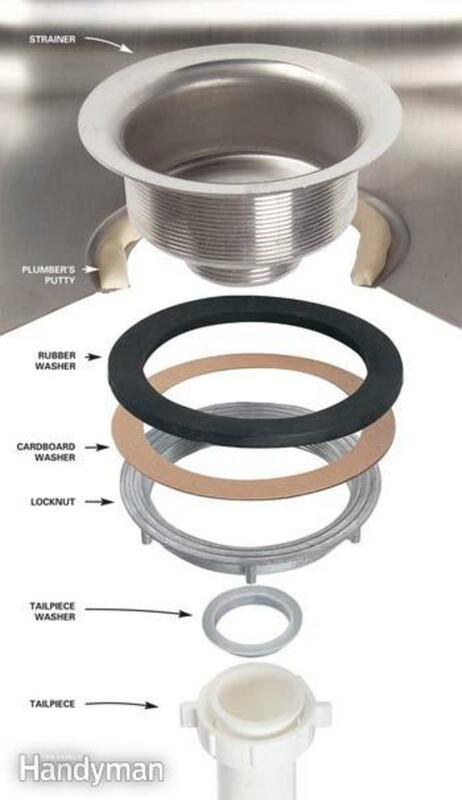 The drain-waste-vent (DWV) diagram is critical to your building official's inspection. The DWV is the unique plumbing project diagram that shows just what it is that you propose to do during your work. It shows the routing of drain and vent pipes in your system. You will want to make sure you indicate the lengths of drain pipes and the distances between fixtures. 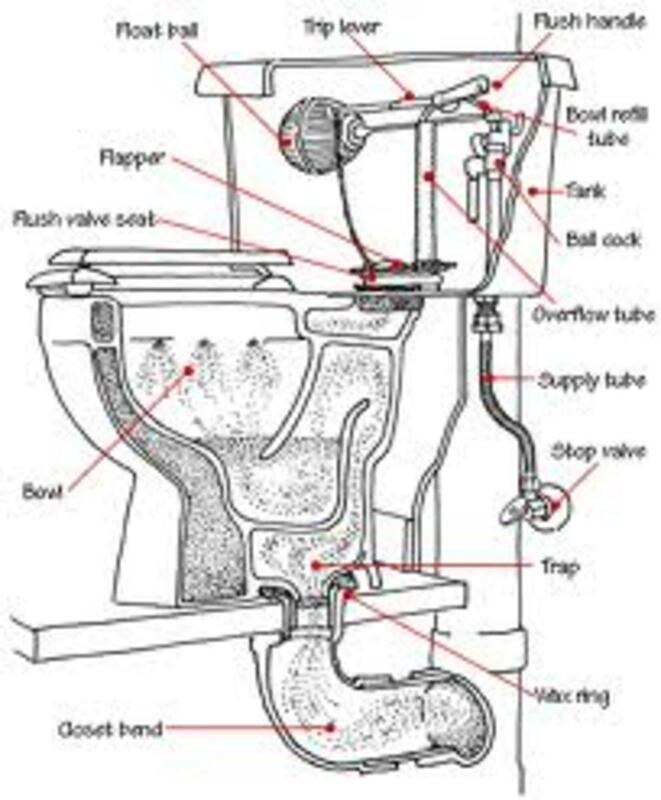 The official plumbing inspector will use this diagram to determine if you have properly sized the drain traps, drain pipes, and vent pipes in your home project. What Happens If I Did Not Get a Permit and I Get Caught? Are you likely to get a permit for your home plumbing projects? No. Building inspectors never come around where I live. Yes. I want to make sure things are done right and safely. An overview for each type of material used to make sinks. And an in-depth look at everyone's favorite sink, stainless steel sinks! Before beginning any home plumbing project, be certain to obtain the required permit for the job. You need to take all three of the needed diagrams of the project to your local city or county building department. To recap them, they are: a Site Plan, a Water Supply Diagram, and a Drain-Waste-Vent Diagram. If you neglect to acquire the proper permit for your home plumbing job, think about how much money you could be depreciating your homes value. And if that's not enough of a reason to get a plumbing permit, consider the potential risk and safety of those who live with and around you. Just do it, getting a plumbing permit is the right thing to do! Comments for "Do I Need a Permit for a Home Plumbing Project"
Nice work. For those of your readers who still feel they can do what they like with their own plumbing, it may be worth pointing out the following: You void your insurance cover. You stand liable for prosecution if your dodgy plumbing ever harms a person or property. You may have to make good if a fault is found long after you sell the property. Yes, I'm a licensed Plumber, Gasfitter and Drainlayer, but not in the states. AEvans~ You are not alone in this permit dilemma. Many people go ahead with home plumbing and/or construction projects absent of permits. They only find out about it being a problem when it comes time to reassess a property's value or sell the home. It can be a very minor problem, but has often become a severe issue on valuing a home property for sale. No one wants to buy something that may not be insurable because it doesn't meet a city or county code down the line! I think California is the most harsh on the permit issue. Equusdvm2010~ What an honor you bring to my hubs! It is wonderful etiquette to link to another hubbers' hub. It helps boost that hubs importance, plus, by choosing good quality links for your own hub you bring your reader a better experience and boost your own work up a notch. I am thrilled that you have linked to my stuff, thank you for the high praise! Hi there, I am not completely sure of the etiquette here so let me know if I am out of line. I just submitted a new kitchen hub and was reading through this hub and your "What is My Sink Made Of" and just had to include them as helpful links. Great job! dallas~Thanks for the high praise for Home plumbing permits! I appreciate your support. Good advice with lots of valuable information. Awesome! A wealth of information as always K9, I didn't know any of this! 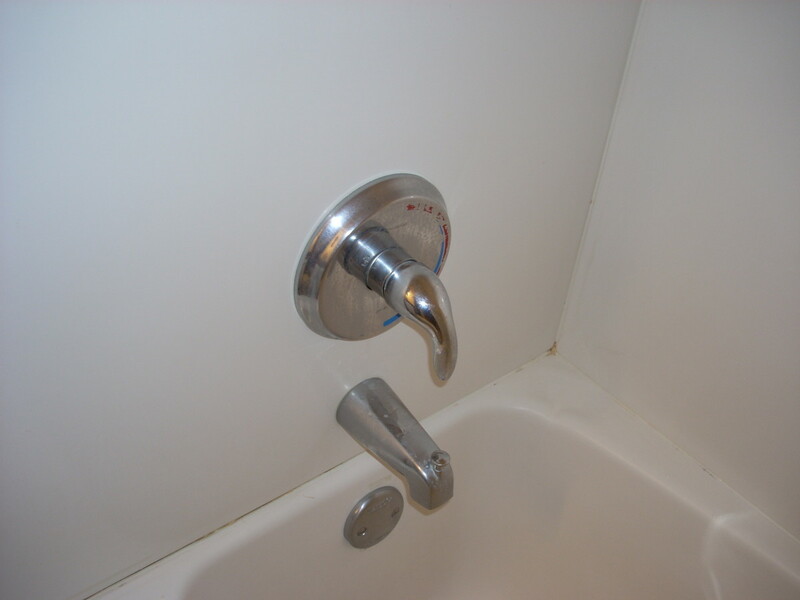 Thank you for sharing your plumbing secrets in an easy to understand DIY - You are the best! But, in that one instance where a plumbing project gets "found out" the risk may result in several thousand dollars 'less' on a home sale price. If you never plan to sell your home, and you are confident in the safety of the plumbing project, go for it if you must. It's not like Uncle Sam shares all of his secrets with us. Evidence of too much government - that. Ignorance is bliss. And if you fix it and no one finds out - exactly where is the, ahem, "crime" found? snakelane~ Thank you for your kind remarks. I am having a great time creating some plumbing hubs, and this plumbing permit hub seemed to have some value. Thanks for stopping by! Simone~ First Thanks for the heads-up (you know why) and second thank you for adding your comments here. You know most people don't realize a permit is required when conducting any home maintenance, even replacing a water heater needs one. I guess better safe then sorry. I appreciate you stopping by! Robin~ You are so right! Many people do skip the permit process without knowing it can negatively effect the value of the property should a sale be pending. 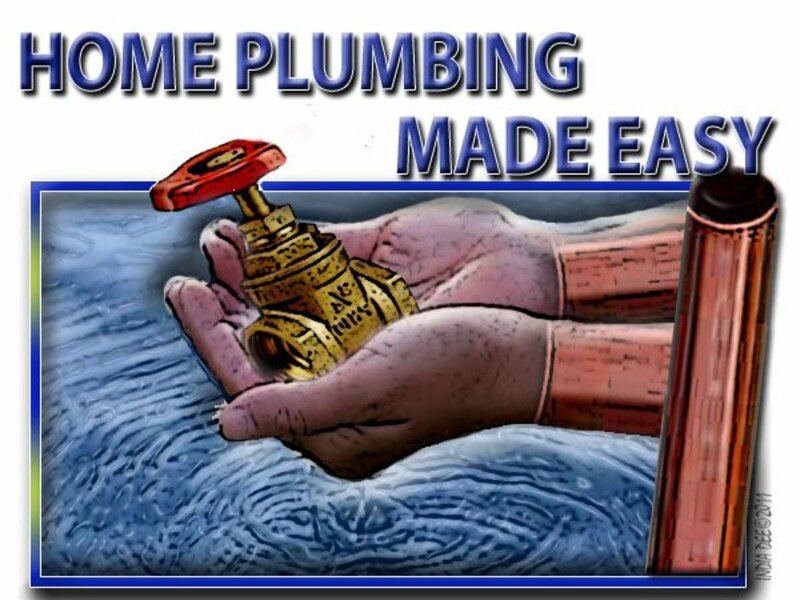 Getting a plumbing permit makes good sense, it brings safety for the public, and peace of mind to the home owner! Thank you for your comments, they mean the world! I think this is great advice. It seems so easy to get a contractor and skip the permit process especially since this process can take time, but it really is a good idea to go through the proper channels. Thanks for the useful guide!! Wow, I had NO idea that permits were needed for plumbing projects, though now it makes complete sense to me that they are. I guess I had just never heard of anyone getting one before! I mean... how are people to know they need to get these permits?? Ah well, at least I know better now. I'm glad you've written this! Another great hub, this whole plumbing series you've done is brilliant, thanks.